The Endurance® door standard multi point locking system has high security nickel plated steel hooks. These fully penetrate the door frame and keeps, helping prevent the door sash and frame being forced apart. The engineered alloy sprung latch with a nickel plated steel deadbolt provides maximum strength in the centre of the door. The lock is Secured By Design accredited. As well as the standard key less locking system, Endurance® doors can be supplied with a Yale Keyfree locking system. With this you can lock and unlock your home either by using a remote control fob or by using a personal code on the built-in keypad on your door handle. The key pad lights up in the dark to help at night time. And the lock even has a built in alarm that sounds if the locked is tampered with. Endurance Doors in Surrey with a solid guarantee ! Endurance Doors come with a long guarantee on their range of solid and secure composite doors. All handles, letter plates, knockers and spy holes are covered by a full 10 year warranty for all finishes, excluding Keyless locks. For more details and to see the range, visit our Door Showrooms in Banstead, Hampton Court and Worcester Park, we would be delighted to see you ! For Replacement Windows and Doors in Banstead and the surrounding area look no further than our new state of the art showroom on Banstead High Street. Pop in any time to see our range of bifolding doors, patio doors, PVCu windows, Aluminium windows and much more, we’d love to see you ! Our Windows are completely bespoke to your specification and will be manufactured to the exact sizes provided. 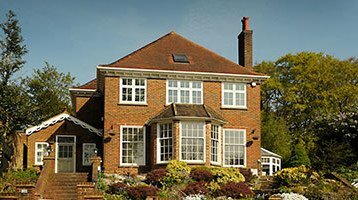 We are very proud of our work and our Banstead showroom has many happy clients in the local area, from Conservatories in Purley, Traditional Windows in Kingswood to Glazed Extensions in Epsom and many more. For Replacement Windows and Doors in Worcester Park and the surrounding area look no further than our beautiful showroom on Cheam Common Road. We are very proud of our work and our Worcester Park showroom has many happy clients in the local area, from Bifolding doors in Sutton, Aluminium Windows in Wallington to Patio Doors in Carshalton and many more. For Replacement Windows and Doors in Hampton Court and the surrounding area look no further than our lovely showroom on Hampton Court Parade. 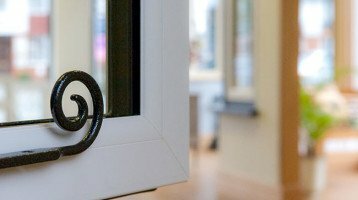 We are very proud of our work and our Hampton Court showroom has many happy clients in the local area, from Patio Doors in East Molesey, Sash Windows in Thames Ditton to PVCu Windows in Teddington and many more.